Solana Beach, CA — December 12, 2017 — Hookit announced today that Kimberly Cook will be joining their team as CRO, leading all sales and marketing for their continued growth and expansion. Ms. Cook is a 25 year industry veteran with both traditional and digital media expertise. 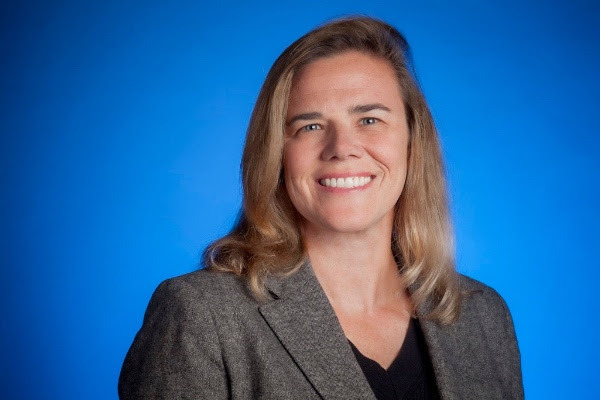 After leading sales for two successful startups, Kimberly spent 5 years at Google after the Channel Intelligence acquisition and was most recently leading a successful team for DoubleClick Search. “Hookit’s goal is to empower the industry, both buyers and sellers, to maximize sponsorship value in today’s current media landscape, with unprecedented technology” says Scott Tilton, Co-Founder and CEO says “Kimberly brings the next level of insight and knowledge of true data driven analytics along with the passion for the industry to lead our revenue team to explosive growth as the spontech space evolves rapidly”. Hookit developed the first, most trusted standard in the global marketplace that effectively measures $5B per month of previously unknown sponsorship value that brands receive from athletes, teams, leagues, venues and events in social and digital media. Now actively tracking nearly 500,000 sports entities across the largest social and digital media platforms, Hookit has become a must-have tool for digitally-focused, forward-thinking companies like Major League Soccer, Soccer United Marketing, Canadian Olympic Team, Monster Energy, GoPro, McLaren Honda F1, Kantar Media, Liverpool FC, PGA European Tour and World Surf League, who use Hookit’s platform to drive increased ROI on their sponsorships. About Hookit Hookit is the leading sponsorship analytics and valuation platform. As consumption and fan engagement of sports grows exponentially on social and digital media, Hookit helps brands to maximize sponsorship investments and empowers athletes, teams, leagues and federations to prove and increase their value to sponsors. Hookit measures value across multiple social and digital platforms by analyzing overall engagement and brand promotion, including mentions, hashtags, keywords and logos within photos and videos using computer vision software. Hookit’s Valuation Methodology (HVM) was awarded The 2016 Digital Marketing Association’s Innovation Award for Valuation and Attribution. Hookit’s growing roster of marquis clients includes GoPro, Monster Energy, Sony, Vans, Asics, Major League Soccer, Canadian Olympic Team, World Surf League, FIS, NHRA, PGA European Tour, McLaren Honda F1, Speedway Motorsports Inc., BF Goodrich/Michelin, Liverpool FC, United States Ski and Snowboard Association and Feld Entertainment. Hookit is based in Solana Beach, CA. Request a Demo – Are you ready to see how Hookit’s business intelligence tools and insight can help drive your digital marketing decisions? Request your free brand demo today and see for yourself just how powerful #spontech can be.